In this release we feature violent conflicts, body positivity, sabbatical success, leadership development, and InsideOCULA for April. The world is a scary, dangerous place. In this edition of her High5 series, Jennifer Dekker recommends five valuable sources for data in Violent Conflict: Public Sources of Data and Analysis. Body positivity 101. That’s the message behind Riots Not Diets: Body Positivity & Our Library Collections. Adele Georgievski surveys the literature and provides some recommendations for your collections, your community, and perhaps even for you. Going on a sabbatical? Lucky you! Perhaps you need to find the Seven Lucky Charms for Sabbatical Success recommended by Kathleen Scheaffer and Paulina Rousseau. Leadership development is critical for the future of the profession. What opportunities exist for those interested in exploring their leadership capacity? As Michelle Sawh explains in The Public Library Leaders Fellowship Program, this initiative responds to the key challenges and provides the essential experiences necessary for current and future leaders. And finally, this release of Open Shelf includes the April issue of InsideOCULA. 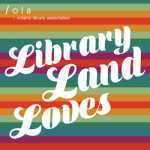 The newsletter of the Ontario College and University Libraries Association contains stories about award winners Karen McGrath and Colin Clarke, professional involvement, OCULA SuperConference planning, personal librarian programs, academic library advocacy, scholarly communications, research skills for aboriginal undergrads, and the Spring OCULA Conference. BTW if you are looking for the April 1st Special Issue of Open Shelf guest edited by April Foolish, here is the Table of Contents.